We continue to learn about Magnetism with our science curriculum. 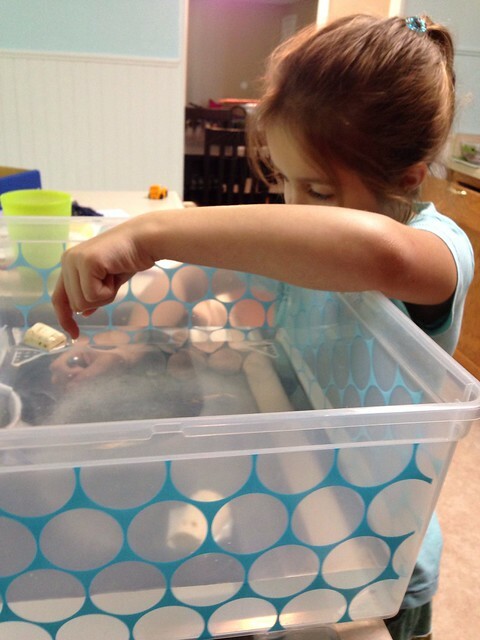 The kids absolutely love doing our science projects each week! This past month the kids have all had a lot of time to play with magnets. 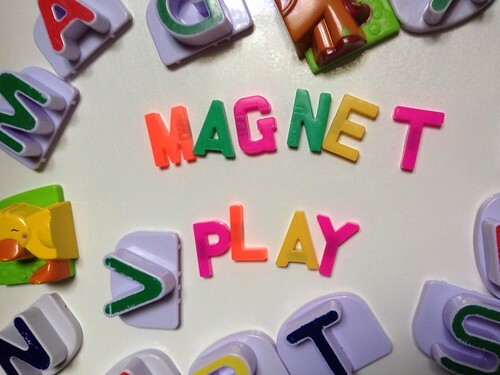 Who doesn't love playing with magnets? Well, I was happy to let them play but I wanted to teach them about it, too! What is a magnet? A magnet is a device that attracts iron and creates a magnetic field. Each magnet has a tremendous amount of pulling power. They basically "pull" or attract metal objects towards them. 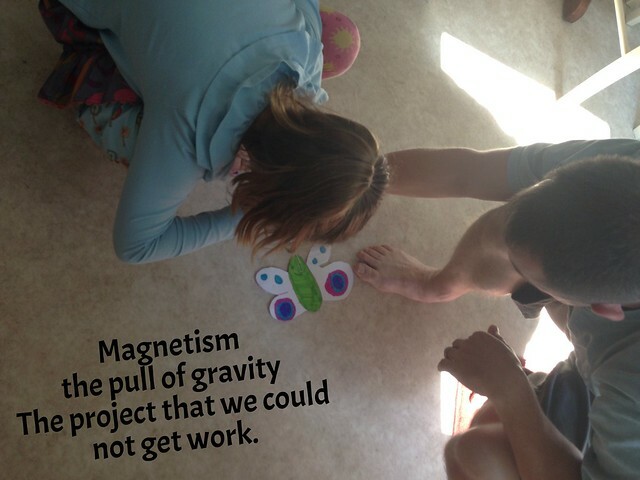 The kids did several experiments for the Magnetism to learn more about how it works. Some of them were lots of fun and very easy. Others had some serious potential to be fun but we just could not get them to work no matter how hard we tried. Up first. The pulling test. 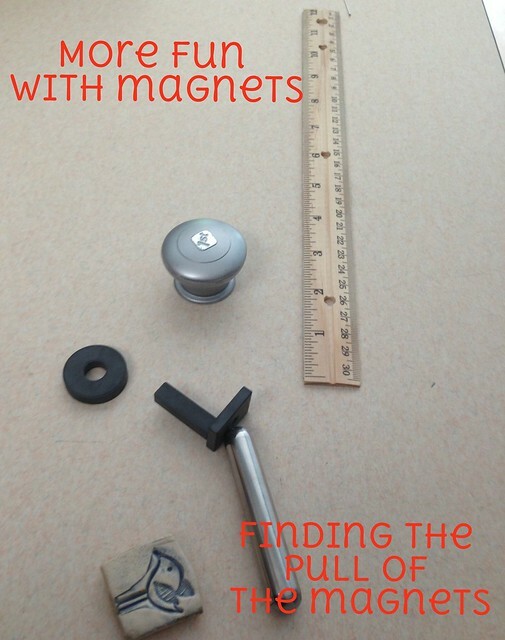 See how far you can get the magnet to pull an object. You simply place a ruler on the table. You place one object (like a pin) on the zero line of the ruler. You put the magnet that you are using a few inches from it. You slowly push the magnet towards the object. When the object jumps toward the magnet you stop moving the magnet. This is the magnets "pull". 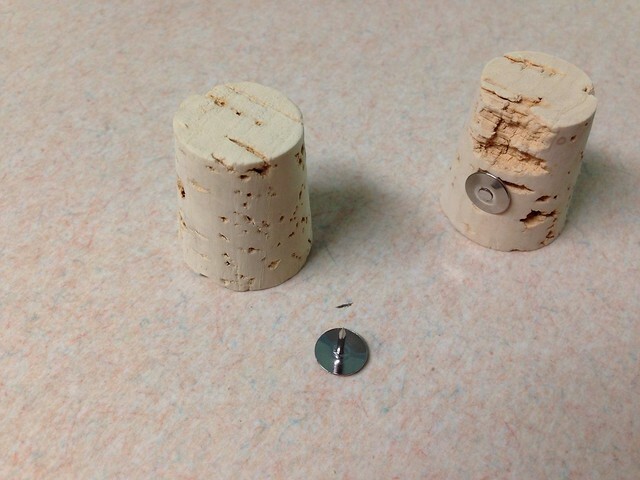 We tried this same test many times using different items, such as a pin, paper clip and additional magnets. The kids decided the object that had the most pull was our safety magnet (tot lock). We also tried another project using "pull". Gator drew a butterfly and cut it out. We slid a paper clip on the top and attached a string to the paper clip and taped it to the floor. We then attempted to make the butterfly fly without letting the magnet touch the clip. This project is supposed to show the force of gravity as it tries to pull the clip. We could not get this project to work at all. Did you know the force of magnetism is so strong that you can actually "pull" an object through another object? Well...the kids learned all about that!! We placed a paper clip on a piece of paper that was held up over a couple books. 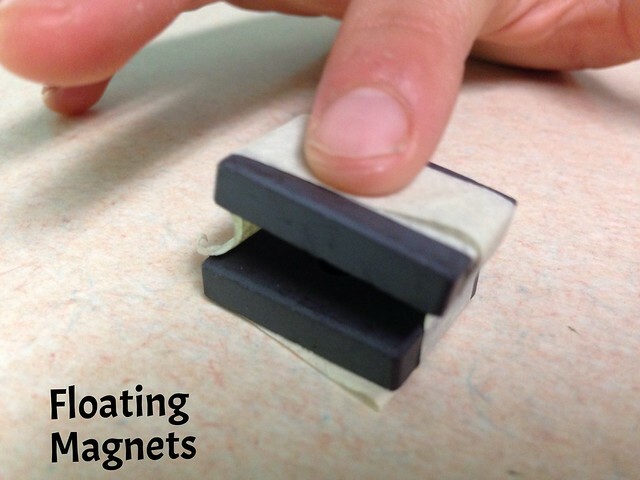 We slide a magnet under the paper (not touching) and watched the magnet move. The magnet easily moves the paperclip. The kids were excited by this and talked about the magnet table that the doctors office has! Yes, Yes! They are learning and associating. We then made cute little cork boats! (Cork boat made with 1 cork, 1 tack and a sail made of paper - if you desire it). 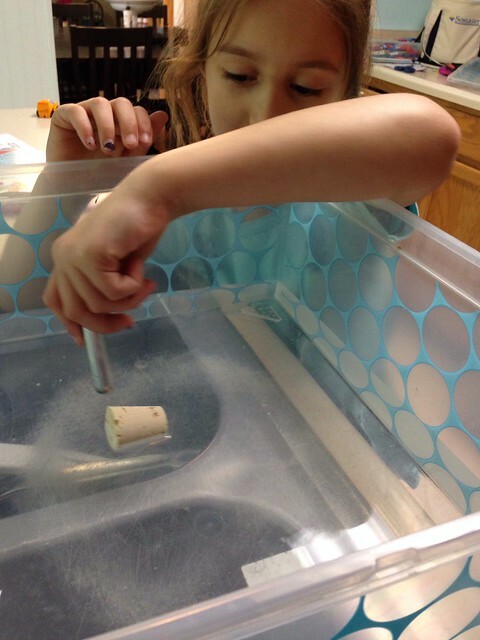 I filled the plastic tub with water and placed it over our sink...in went the cork boats! The kids wondered if they held their magnet under the container could they get the boats to move? Could they move it if they held it under the water? Yes! Then, Gator held it above the boat and it moved....but instead of pulling towards the magnet it pushed away....ahhhh, the beginning of the PUSH of magnetism! The girls then learned about the magnets force and their "poles". Each magnet has a north pole and a south pole. The north poles push away other north poles (just like the south push away the south) but the north poles attract the south poles and stick to each other! Once we learned about "poles" we had to see how they worked!!! We made floating magnets by taking two magnets the same size and placing a pencil between them. We taped them up with their identical forces facing towards each other. Once they were taped we pulled the pencil out! The two magnets continue to stay separated!!! The magnetic poles push the identical poles away causing a floating magnet! You can even push down on the sides or in the middle - it continues to float! Lastly, our FAVORITE experiment of all! We borrowed one of the little guy's cars and placed a magnet on the top (taped it up so it didn't fall off) and used another magnet to push it. It was so easy to get the car to go fast. 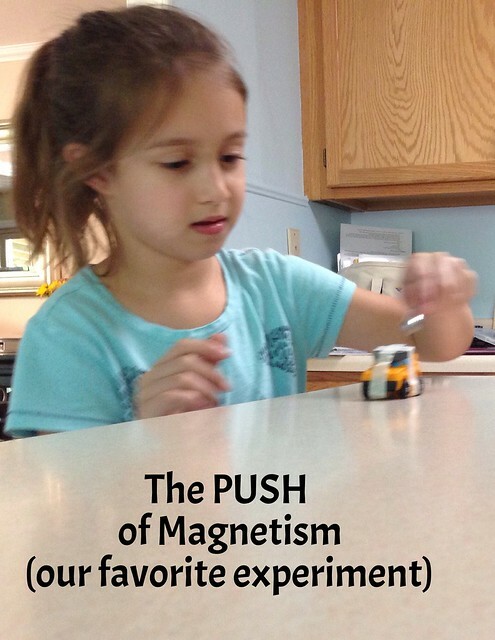 I even had her tell me that its going so fast because the magnets had two identical poles and the force was pushing the other magnet away! We have really enjoyed working with MAGNETISM the past few weeks. The kids have all learned lots of great things. And, who doesn't love playing with magnets? 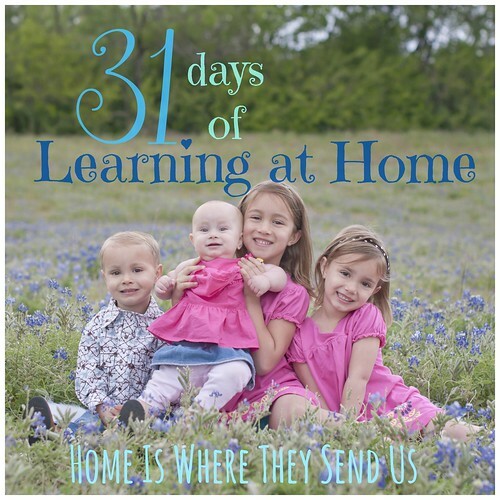 I hope you'll try these fun activities with the kids! 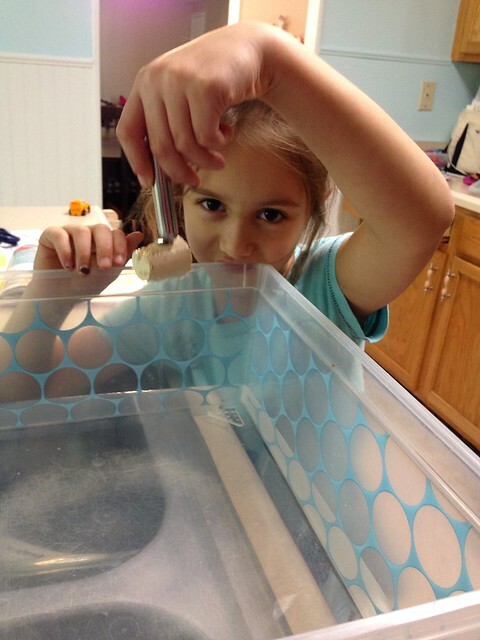 You don't need to be a home schooler to enjoy learning about magnetism or playing with it! It isn't just the big kids enjoy magnet play....Achoo has been enjoying fishing with his magnets (like I posted about before) and Baby A has been playing with our magnet board. We picked this up at IKEA and then placed some of our favorite Leap Frog Magnet toys on it! 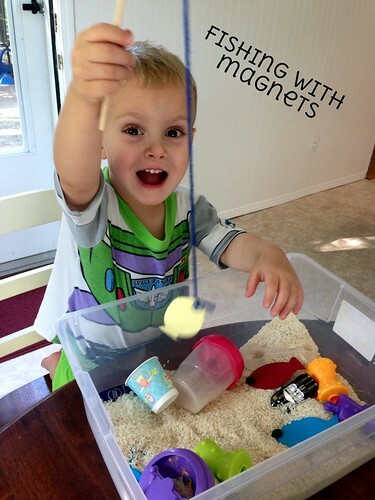 What fun projects have you done with magnets?